President Vladimir Putin said the Kremlin talks on Thursday with King Salman, the first monarch of the Gulf kingdom to come to Russia, were a “landmark event. King Salman’s journey to Moscow, ahead of planned talks with President Donald Trump in Washington early next year, is a recognition by Riyadh of the changing political balance in the Middle East after Putin successfully countered indecisive U.S. efforts to topple Syrian leader Bashar al-Assad. No more than two years ago the very idea of the Saudi monarch visiting Russia would seem absurd, as Moscow and Riyadh have been opposing each other for decades in all major regional conflicts, from Afghanistan to the so-called uprising of the Muslim Brotherhood, adds The Guardian. And now the parties have decided to put their differences aside by approaching each other in a series of meetings and negotiations, which have already resulted in a number of commercial deals being signed. Additionally, the parties have agreed to consult each other in regulating oil prices, while discussing the prospects of a peaceful settlement in Syria. This is particularly relevant against the backdrop of the growing role of Iran in regional issues, since Tehran increasingly influences events in Syria, Iraq and Yemen reported by virtually every media source. Now that it’s clear there is no way Syria’s rivals can overthrow President Bashar al-Assad, players must make adjustments to their policies. And Saudi Arabia is no exception, especially following the recent successful offensive led by Syrian troops carried out with Russia’s support. 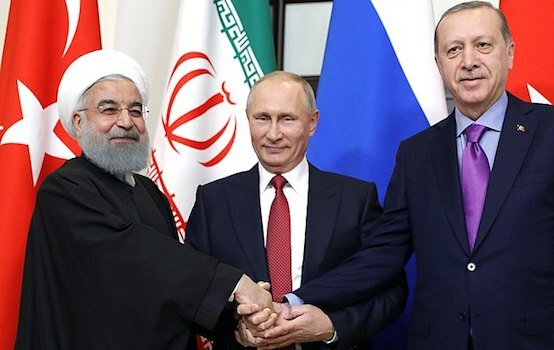 Moreover, it is no secret that across the Persian Gulf accusations are being traded over the failure of the Syrian opposition and the successes of Syria and Russia. Some people blame Saudi Arabia for this, since it refuses to arm groups related to the Muslim Brotherhood. Many Saudi commentators voice discontent over the absence of any clear cut policy on Syria in the White House, notes The Guardian. Against the backdrop of an ongoing shift in diplomatic alliances in the Middle East, Moscow hopes that the historic four-day visit of King Salman will show that Moscow can establish alliances with all the key players in the region, including Turkey, Iran and now Saudi Arabia, concluded the media source.As it’s been noted by the deputy director of the Observo Franco-Russian Analytical Center, Igor Delanoë, in his interview for Le Figaro, Moscow is no longer perceived as a problem in Syria by Riyadh, instead it is seen as an integral part of a possible solution to the Syrian crisis. Previously, Saudi Arabia believed that Bashar Assad would be forced to leave, but now Assad is no longer losing the war. In this situation Riyadh faces a difficult dilemma, of course, it cannot approach its Shia enemy (Iran), but it is not inclined to turn towards its regional rival (Turkey), especially after the crisis with Qatar, during which the latter was supported by Ankara. In a situation when isolation is on the table, Saudi Arabia has no choice but to turn in the direction of the Russians.The importance of the visit of King Salman to Russia is being underlined by a handful of Saudi media sources. In particular, Al Mowaten emphasizes that there is an urgent need for both states to seek mutual consultations on various issues including politics, economics and military matters. The Russian president and the King of Saudi Arabia are two leaders who compete in almost every aspect, stresses Spanish El Mundo, yet it argues that times are changing, as the US is gradually exiting the Middle Eastern stage, and Riyadh wants to secure a quiet future on the energy markets for itself. 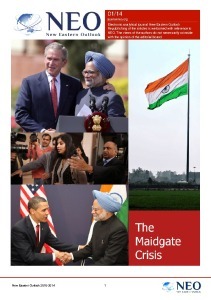 The meeting has shown that Russia has returned to the Middle East in all three major components: it builds gas pipelines and nuclear power plants in Turkey, revives Iran as an energy player, and approaches such pro-American states like Iraq, which want to buy Russian tanks, or Saudi Arabia, with has agreed to freeze oil production in hopes of stabilizing prices, Moscow is filling the vacuum created in the Middle East with the departure of the United States, El Mundo concludes. The investment agreements thwart the U.S.- and EU-led sanctions targeting Russia, and Russian rapprochement with Saudi Arabia, a critical U.S. partner in the region, intentionally needles Washington. While Russia is not the only actor with influence—Saudi Arabia perhaps holds an outsized degree of leverage in the relationship—it is enough to complicate U.S. policy in the region, whether through OPEC or in Syria. Russia’s economic activity in the region provides an important signal to the U.S. As the architect of the global economic system, the U.S. made that system compelling enough so that most nations sought to sign on to its institutional rules because they too would benefit economically. The Russian economic interactions in the Middle East are more subtle than its overt military intervention in Syria, but their effect may be equally costly to U.S. interests and complicating to U.S. policy goals in the long-term. With successful bilateral economic negotiations and positive prospects of the upcoming settlement of regional conflicts, a lot of attention of foreign media sources was attracted to the memorandum of understanding signed by Saudi Arabian Military Industries (SAMI) and Rosoboronexport on the localization and production of a number Russian weapons systems in Saudi Arabia. Al Arabiya reports that the agreement, which preliminary, includes the transfer of Russian technology allowing the production of anti-tank missile systems like the Kornet-EM, heavy flame-throwing systems such as the TOS-1A “Solyurek,” and grenade launchers like the AGS-30. 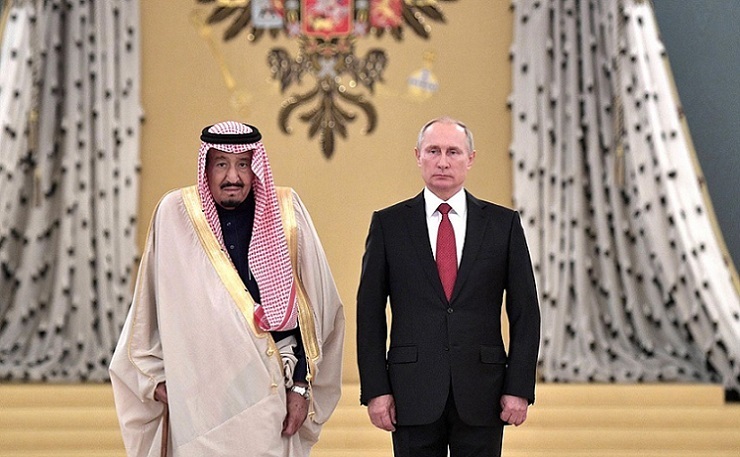 Earlier, the Pan-Arab TV channel, referring to a statement by representatives of SAMI, announced a preliminary agreement between Russia and Saudi Arabia on the sale of S-400 Triumph air defense missile systems to the Kingdom.